This is the tale of Maguru ya Sarwaya, Legs of Tornado, the human from a humble upbringing who outran the wind, defeated evil spirits, overcame his fate, became a respected clan chief, and triumphed ever after. As an infant, I was first told—and often told again—this tale by my own mother at bedtime. Then, my older siblings added their own versions when my mother was not around. Now, I am sharing my memory so that you, the reader, can build your own. Maguru, the greatest hunter in the Kingdom of Rwanda, has tracked the elusive imparambwe and claimed her magic tail as his prize. With it, his king can now command the rain and end the drought that grips the land. When the imparambwe swears to kill him, Maguru laughs at her threats. Maybe he shouldn’t have done that. With her magic tail stolen, the imparambwe has lost most of her power−but she has more than enough left to seek revenge on the young man. Now hunting the hunter, she will use every trick she knows to destroy him. Maguru had best beware, or he’ll lose his life, and the drought will never end. 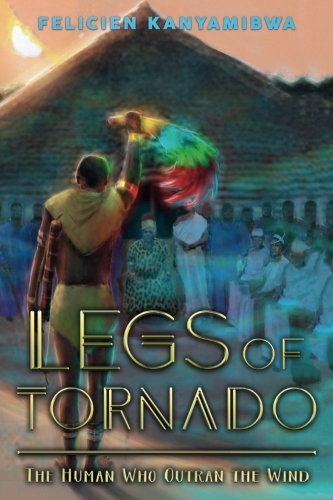 An African fable, Legs of Tornado tells the tale of Maguru, a humble orphan who has a chance to become a mighty chief−if he can outsmart the imparambwe, the mystical beast. Beautifully illustrated, Felicien Aroni Kanyamibwa’s Legs of Tornado introduces readers to the world of African fables, where animals talk, beautiful brides hide deadly secrets, and magic lives and breathes. This story is dedicated to my mother, Esther Nyirabucakara, and to Rwandan war orphans who will never hear nor have ever heard their mothers, sisters, or brothers recount African bedtime tales that have been handed down from grandparents to children for generations. 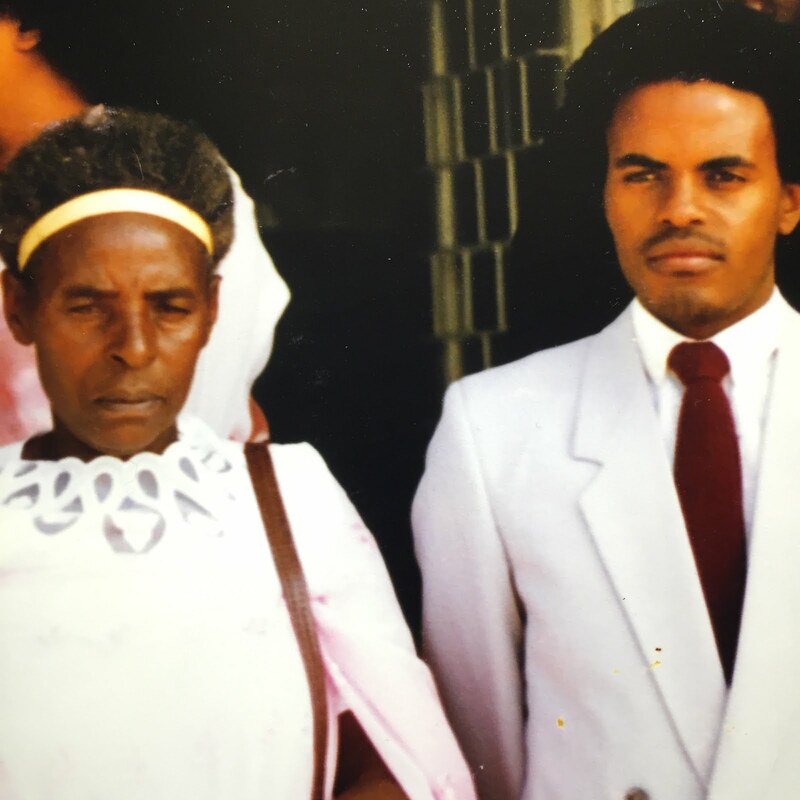 LEGS OF TORNADO: A RWANDAN TALE. Are you ready for an amazing story? Long ago, the people of Rwanda suffered through a terrible famine. The rains did not come to help the crops grow, the grass withered, and the soil became so dry that it cracked. 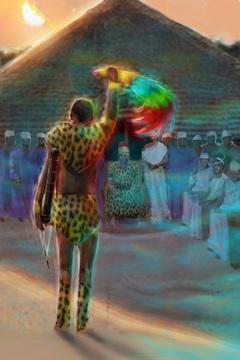 The people looked to their village chiefs for guidance, but the chiefs could not help. They looked to the king, but he could not bring the rain. Only the magical tail of a mystical creature could save the kingdom. Maguru is Rwanda’s best hunter, even better than the king—and certainly better than his jealous village chief. He’s hunted the buffalo, the antelope, and the leopard, but he has never hunted the deadly imparambwe. To save his people, Maguru must now learn to outrun the wind and outwit a creature that can change shape in the wink of an eye. If he succeeds, he’ll be a hero. If he fails, his people will die of starvation. Maguru is determined not to fail.